Eyeliner is a favorite makeup product. It makes the girls more attractive. But sometimes you feel it is running in a long time. So, how to keep eyeliner from running? That is the question that all women are looking for answers. Are we all afraid of eyeliner from running? Make sure you are aware of the fact that eyeliner helps you to improve your face and makeup. Your eyes seem to be the center of your face. The men will be seduced by your dreamy eyes. But how do you feel when you look at yourself in the mirror and see your eyeliner running half of your face? Sure, you will feel uncomfortable and unconfident because of the running and smudging eyeliner. Imagine, at a special party, Eyeliner is running down your face; you will feel bad when you have to walk around with a smudgy eyeliner. The question of how to keep eyeliner from running is always one of the issues that many women are concerned about. 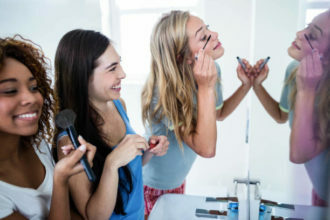 If you want to keep your makeup longer, first, choose a long-lasting cosmetic. A waterproof gel is a perfect choice. A good eyeliner formula will be limited the eyeliner from running. You should invest in your eyeliner. It will become your good friend in makeup. Waterproof eyeliner formulas cannot help you satisfied? You can try eyeliner sealers. It’s easy to find and available. It helps in setting the eyeliner in place for long times. Look for eyeliner sealer that suits you. You will feel its effect in keeping eyeliner from running. We can apply this technique to eyeliner. 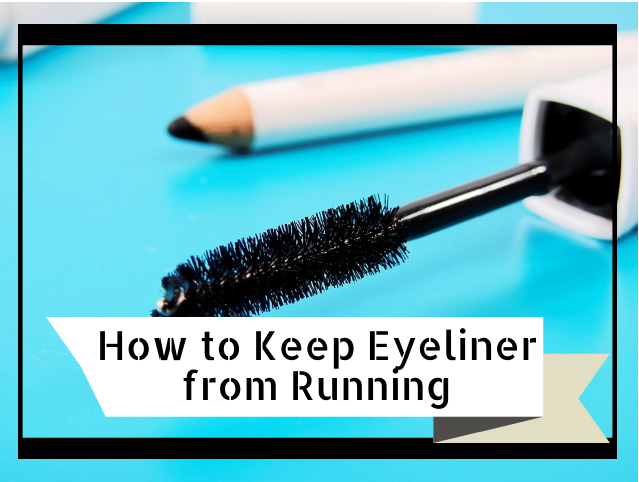 It will help you keep eyeliner from running. You just blot it and refill again with your eyeliner. Then, blur it gently with a cotton swab. Later, do it again. This simple idea keeps your eyeliner sticking for long and do not flow down for the whole day. Specifically, you can use pencil eyeliner. Next, layer on the top a liquid one to seal in color. Vaseline is a wonderful cosmetic. 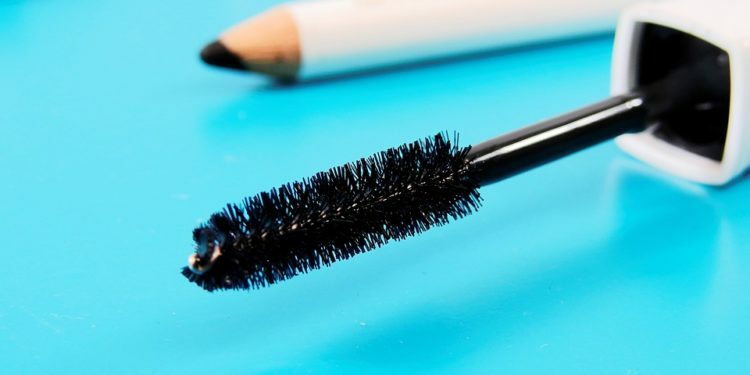 It can be used to keep eyeliner from running. This is a very simple tip, but it is effective. Use a little vaseline cream and apply along the eyelid line. You will see the effect of this tip soon after. You can press your eyelid before you start applying eyeliner (Press the eyelid before you use eyeliner). 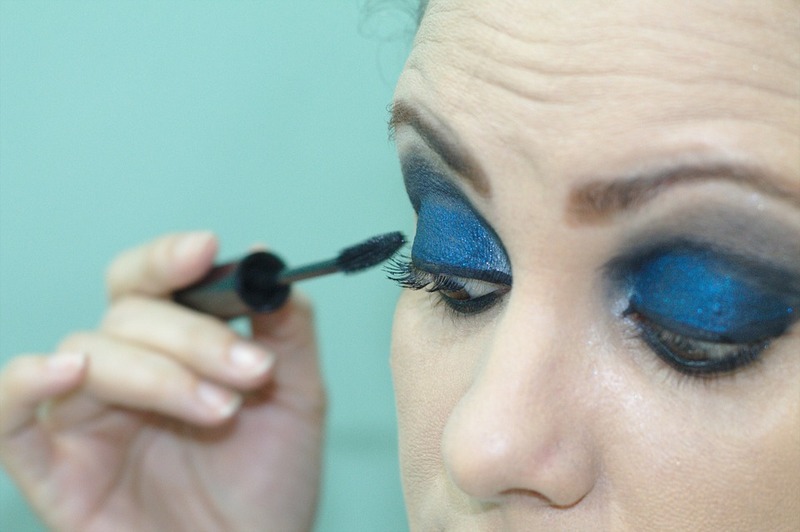 Instead of applying the usual makeup sequence: apply mascara, press the eyelid. There are the last eye makeup steps. You can press the eyelid before you use eyeliner because when you press the eyelid, you can damage the mascara on the eyes. It will make your eyeliner flow down your eyes if you are not careful. This technique helps you avoid creasing, slipping off of the eyeliner. It also helps in making the eyeliner intact and in place. If you have oily skin, the eyeliner is susceptible to running down your eyes. This trick will be great for you. You may find that: your eye and t-zone areas on your face will have some shine and greasiness appear several times within an hour of makeup. Let’s use oil-absorbent sheets and blot it on the area you want to remove oiliness. Which can lead to blurry faster and slip your eyeliner? It helps keep eyeliner from running. Eye primer is a great option to help in setting and enhancing your eyeshadow. You can apply an eye primer. Then, set it with compact powder. Finally, apply your eyeliner to make it last longer, for the long day. Use your concealer to apply it to your under eye area. This activity will help you keep your eyeliner from running. It helps you prevent it from entering the lines of the area under the eyes. On the skin, cream formulation of concealer is full in all lines. It helps to overcome the oil spill in the under eye area. It acts as a barrier between the skin and your eyeliner, So it is a formula that helps prevent eyeliner from smudging under eyes. If you apply all the above tips, but you forget to make your skin clear before makeup, especially your eyes, your eyeliner will still run. Do not make up your eyes when your eyelids are oily. When you wash your face in the morning, Take care of the area of the eyelid and make sure it is clean enough. Chantecaille’s lead eyeshadow is extremely easy to use. But it stays color-stable throughout your day without being smudged. It’s not just the gold quality of a big fashion brand, Dior’s eyeliner is very easy to use, even with the girls began to learn to make up. Although it is not cheap for a water eyeliner, this is a product that deserves you to try. It has nice color and quick drying. It will help you keep eyeliner running. As a popular name for women all over the world, MAC always brings the perfect beauty products with perfect appearance, durable color for many hours. In gel form, packed in pretty jars, this eyeliner from Smashbox gives you soft lines like mousse. But it is also stubborn and stubborn in normal weather until you remove the make-up. Your eyes look like the wondrous window to the soul. Do you want to keep the eyeliner in place? Please keep in mind our shared to keep eyeliner from running. And share with us if you have better ways.